If you looked at my ‘PIX’ posts, you’ll see I just got back from shooting the Havasu Balloon Festival. The festival wasn’t unlike any other festival with its challenges in crowds of people and harsh light once the sun was up. So I tried to take my photos early morning and late evening. 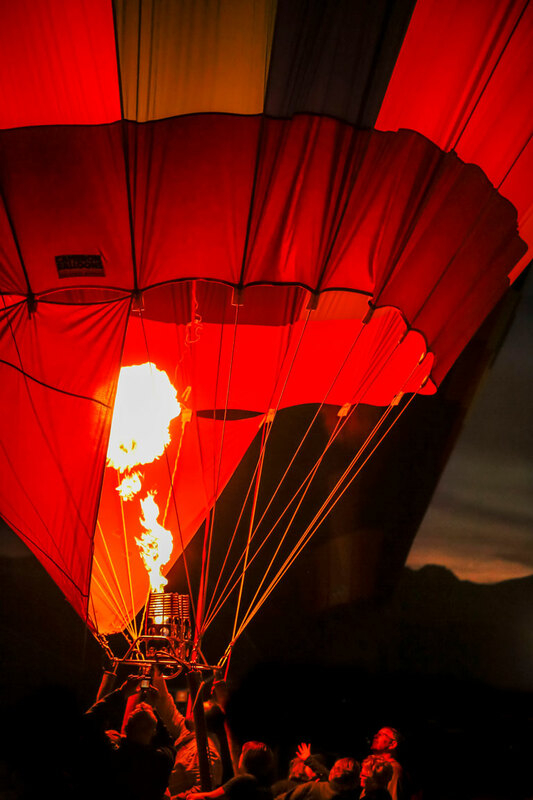 The balloon festival has great night glow shots with flaming up the balloons that make it a great photographic opportunity… and challenge. I normally shoot Aperture Priority, which gives me creative control over the depth of field in my photos. So for the balloon shoot, knowing that I was in low light conditions I shot f4.0 on my 28-105mm to maximize the light entering my camera, at a ISO1600. Unfortunately, hind sight is 20 / 20, but I did learn what to do / or not do next time. So I thought I’d share my learnings. Even though I shoot Aperture Priority, for my next balloon shoot, I’ll shoot Program mode. I know, for a serious photographer this seems blasphemy. Though considering that the balloon heaters are only on for like 3 seconds, it’s hard to note your settings, and make adjustments in that time. Granted you could check your settings on one blast, adjust, and wait for the next blast to snap the photo. But by setting it on Program you can let your sophisticated camera do the thinking in this particularly challenging situation, and concentrate on composition. I also noticed that where you take the exposure reading is crucial. I like to black out the background so that you can cut the clutter of the crowds out and the distracting background. So by taking your exposure reading off the very bright burner blast, you blacken out everything else… as in the picture below. Finally, I did minor adjustments in Photoshop Camera Raw. Worth noting, though, is on the left side of the photograph was a persons head. I used a brush in Camera Raw set on max shadow (dark) and max exposure (dark), and painted black over the head and around the outside of the balloon to clean up any distracting bits. I left the expressions, hand movements and glow on the faces directly surrounding the balloon glow, leaving a story telling photo. The night photos of the hot are balloons are stunning. They take you right to the event. Thanks for sharing them.